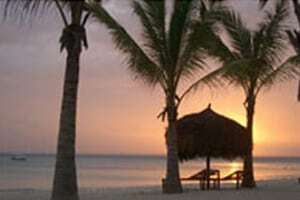 ~ But, Cupid aside, Valentine’s Day is a great time for a romantic getaway to the islands & beaches of Mozambique. Luxurious lodging with Indian Ocean views create an ambiance for romance and there are lots of wonderful specials on offer at this time of the year! LONDO LODGE & MATEMO ISLAND REOSRT both now offer drinks included in accommodation rates. (House wines, local beers & spirits, soft drinks, bottled water & teas/coffees) Owner run Londo Lodge also has a new luxury Baobab Suite – with it’s own private plunge pool! 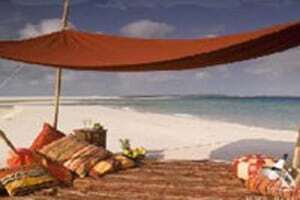 The ideal honeymoon destination, Londo Lodge is just 15 minutes by boat from Pemba. Stay 7 nights, pay for only 5 nights in March! 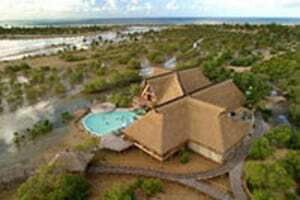 PESTANA BAZARUTO LODGE has a stunning new spa, as well as two huge swimming pools with Jacuzzi’s. They also have a new children’s play area. 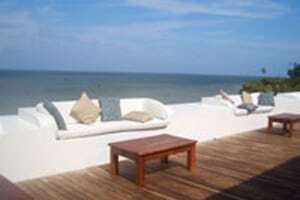 A big plus: we have reduced Rand rates for for bookings until 30 June 2009! 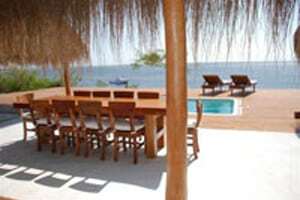 We have also recently started selling a fairly new resort in Mozambique. RIO AZUL is approx. 130 km North of Vilanculos, near the mouth of the Gavuro River. It is a small owner-run resort, with just 6 chalets & 2 large family villas. This is an ideal fishing venue, with each chalet having its own boat for fishing & exploring in the estuary. Stay 2 nights on the fascinating historical & cultural Ibo Island, followed by 5 nights island hopping by traditional dhow, exploring & camping on different islands of the Quirimbas Archipelago. Special Rand rate packages! Plus: More Rands per Dollar! 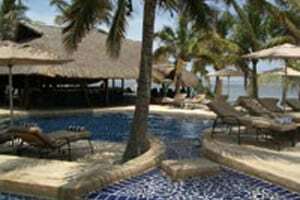 – we can offer reduced Rand / US Dollar rates at Indigo Bay Island Resort & Spa, Matemo Island Resort, Medjumbe Private Island and Pemba Beach Hotel & Spa until 30 April 2009 for all SADC Residents. Specials subject to exchange rate fluctuations & any airfare or Departure tax increases. Exclude: Visas (not required by SA passport holders); meals & beverages and activities or excursions not specified, etc.